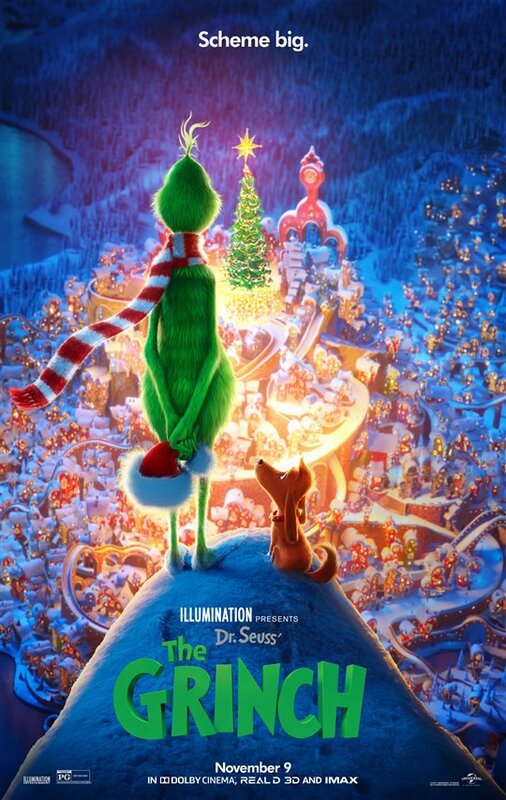 Dr. Seuss’ The Grinch debuted in top spot at the weekend box office, earning $66 million. The film follows the Grinch (voice of Benedict Cumberbatch), a cynical grump who likes to bring misery to people's lives. He routinely goes into Whoville to do mean things, spreading ill will wherever he goes and this time he decides to steal Christmas from the town. Dropping to second position was the biopic Bohemian Rhapsody, about the iconic rock band Queen. Starring Rami Malek as lead singer Freddie Mercury, it took in an excellent $30.9 million, with a gross domestic total of $100 million. In third place was newcomer zombie flick Overlord, which brought in $10.1 million. In fourth place was Disney’s The Nutcracker and the Four Realms, starring Mackenzie Foy and Helen Mirren. It brought in an additional $9.6 million to bring its total earnings to $35.3 million. Rounding out the top five was The Girl in the Spider’s Web, which made its debut this weekend. The action-packed thriller earned $8 million.